Tired of this everlasting winter, with its multiple blasts of extreme cold, extreme snow and generally miserable conditions? To your rescue comes Sprite, assuring you that "Spring Will Be a Little EARLY This Year"! Or, rather, here comes whoever was doing promotions for Sprite perhaps 40-45 years ago, which is when this 33 1/3 RPM, 7 inch promotional record made its way to distributors, salespeople, and anyone else involved in marketing Sprite. It introduces the theme for the new Sprite campaign, which was to open on April 1st, and assures everyone listening that the melody of the ad is soon to be in the heads and on the lips of just about every consumer out there. 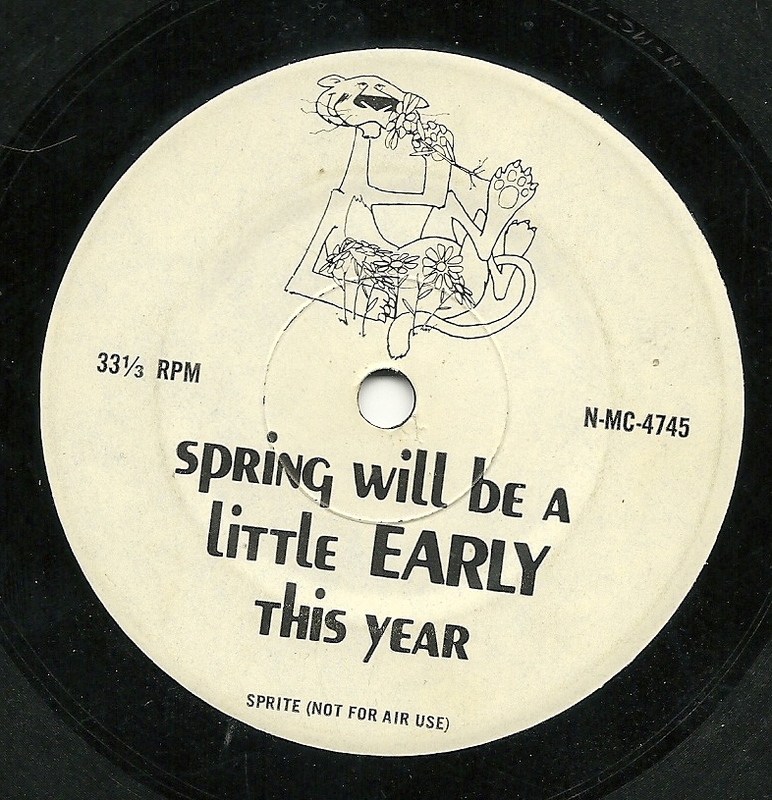 So the next time you're pushing your car out of a snowbank, just whistle this tune, and remember: "Spring Will Be a Little EARLY This Year"!